"“Theresa is professional, patient, and most of all knowledgeable of the market…She gave us her honest view and helped make an informed decision. ... continued"
Our team is ready to assist you with all your real estate needs. 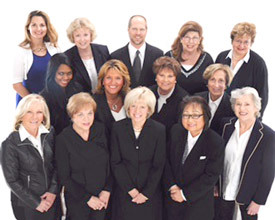 Our agents are high caliber professionals with extensive experience and knowledge about our local real estate market and are dedicated to providing the highest quality service to our clients.